Nestled at the foot of the Makhonjwa Mountain Range in the quaint mining town of Barberton. Built in 1884 as the bathhouse for gold diggers in the area. You can relax in our garden that extends to the very foot of the mountain or take a dip in the oldest swimming pool in the Old Transvaal. Vervet monkeys, bush babies and Baboon are frequent visitors to the garden. Bird lovers have spotted Narina Trogon, Emerald Cuckoo and Knysna Turaco from their verandas. We have classic accommodation comprising of self-catering or non-self-catering units, each with their own entrance into the garden or pool area. Each unit also has its own bathroom. Home cooked meals are available with prior arrangement or you can enjoy our favourite meal the South African Braai. Fountain Baths revives the senses as a welcome retreat for travellers exploring this history rich part of Southern Africa. We are perfectly situated within walking distance from town. For Travellers interested in history, Barberton Museum and Dusty Tracks Private Mining Museum is a stone throw away from Fountain Baths where off road adventures, gold panning and mining tours as well as tours to the old Mining ghost towns of Eureka city and Msauli Village can be arranged. Barberton also has an interesting Heritage Walk that is self-guided or by arrangement a guide may be provided through the museum. To take a further step back in time Barberton boasts World Heritage status which was attained in 2018 by being situated within the oldest and most well-preserved geological sites on the planet dating back to the Archaean era over 3.5 billion years ago. A trip up the 38km Geo-Trail on the R40 to the Swazi border can be arranged with a guide or one can simply use the self-drive option by stopping at the information points that are very informative. 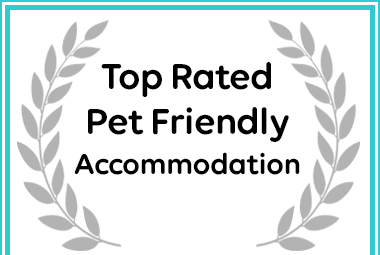 Fountain Baths Guest Cottages in Barberton received a Top Rated Pet Friendly Destination Award. 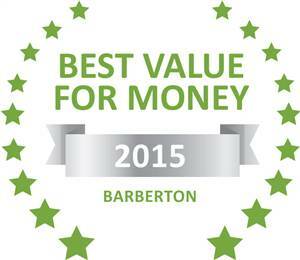 Based on reviews of establishments, Fountain Baths has been voted Best Establishment in Barberton for 2015.